Today is the last day of an exhibition of beautiful black and white photography at Theoule sur Mer, which is just along the coast from Monaco - a charming seaside town, with gorgeous sandy beaches and an easy way of life, quite different to Monte Carlo. 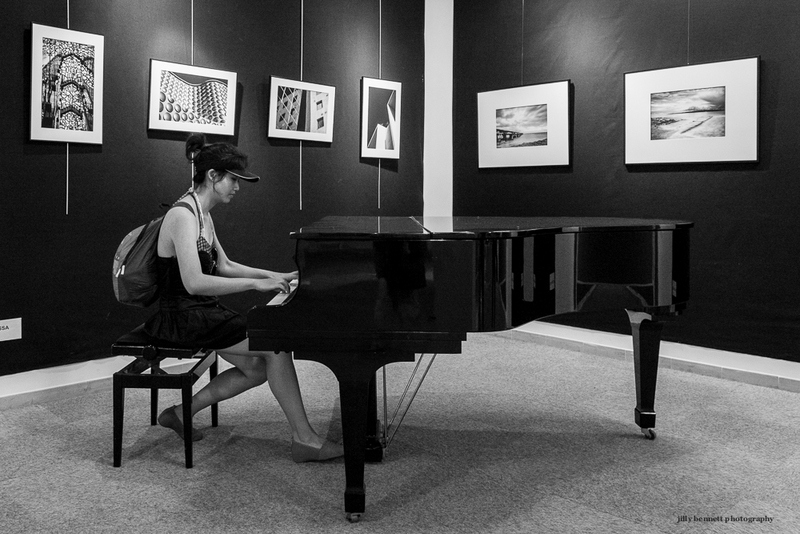 Yesterday, one of the visitors, treated everyone to a virtuoso performance of piano. In fact, she is a flautist with the Cannes orchestra. The exhibition is open from 10 a.m. to 10 p.m. at Espace Culturel, Theoule-Sur-Mer. Wearing a backpack while sitting at the piano's not something one sees on a regular basis!